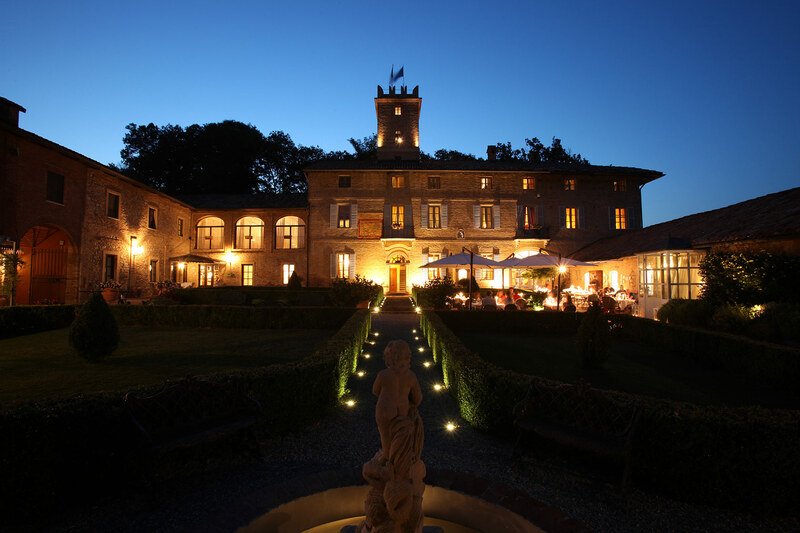 Positioned in one of the most panoramic corners of Monferrato, Castello di Razzano is surrounded by an estate of extraordinary natural beauty. It is an ideal spot for enjoying a vacation in complete tranquility, and as a base for exploring the enogastronomic delights of the beautiful Monferrato territory. Castello di Razzano’s Relais surrounds a lovely, formal Italian garden through which guests can enter the Museum ArteVino, the Wine Cellars, and also the Wine Shop, where they can sample the wines produced on the estate. The complex is emersed in the hills of Monferrato, which provide a natural frame for the Castle and offer stunning views over the vineyards to majestic Alpine sunsets. At the Relais, one experiences a unique and suggestive atmosphere; a blending of the natural beauty of the environment and of the ancient architecture, combined with an elegant ambiance and refined comfort. 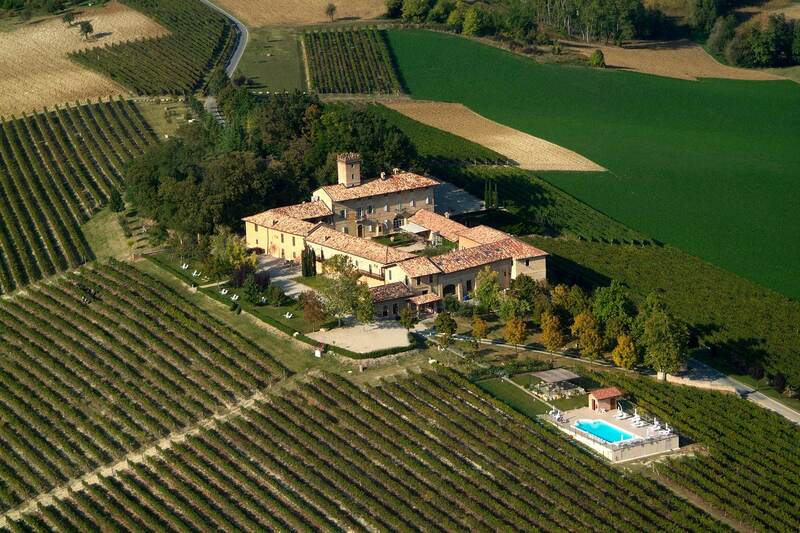 Monferrato is one of Italy’s most renowned wine producing zones. 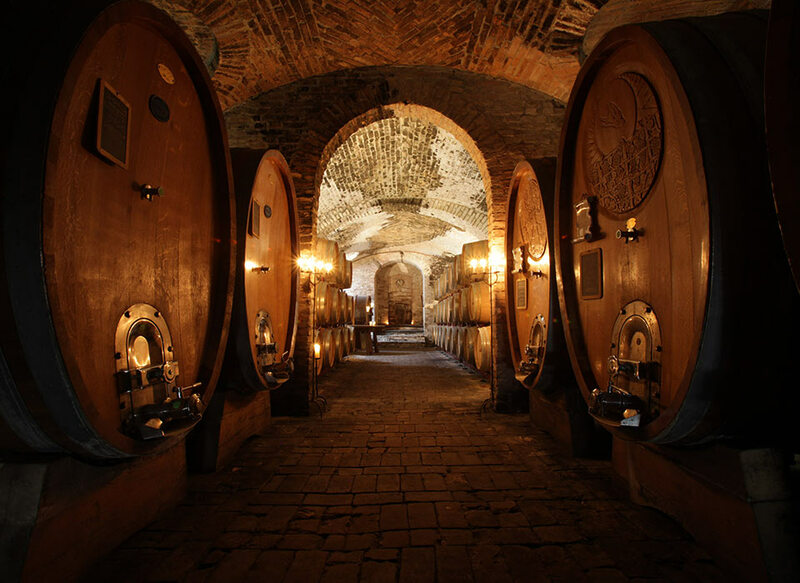 Castello di Razzano’s Wine Cellars uphold the strong tradition of this high quality wine culture. The Castle’s three farms extend over 100 hectares: 30 hectares cultivated in wine grapes, producing over 150,000 bottles/year and 5 hectares of olive groves. The Cellars, where the most precious red wines are refined, are located below the historic Castle structure. While tastings and sales of the wines, the grappas, Extra Virgin olive oil and Vinegar of Barbera can be found in the Enoteca just off the Castle courtyard.